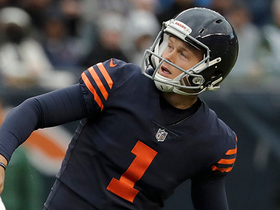 The Bears will let Parkey go when the 2019 league year begins, Ian Rapoport of NFL Network reports. 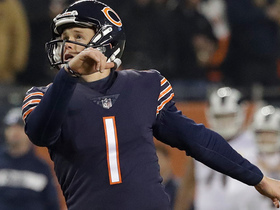 Analysis: Parkey will make $3.5 million guaranteed on his 2019 contract despite his release, all that follows his miss in the playoffs that cost the Bears a chance at the NFC Championship Game. He should find plenty of suitors for his services in 2019. Parkey connected on three of four field-goal attempts Sunday in the Bears' 16-15 loss to the Eagles in the wild-card round. Parkey converted a field goal and extra point in Chicago's Week 17 win to end the season with 111 points. Analysis: Parkey missed an extra-point attempt, continuing his inconsistent accuracy over the second half of the season. Although he made just 76.7 percent of his field-goal attempts in 2018, he's signed through 2021, so he's a good bet to be the Bears' starting kicker next season. Parkey missed his only field-goal attempt while making a pair of extra points in Chicago's Week 16 win over the 49ers. Analysis: Parkey has missed six field-goal attempts over his last 11 games, and he's been held to one or fewer field goals on eight occasions this season. 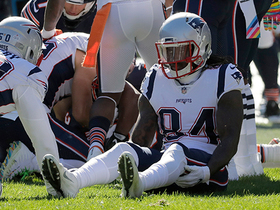 Not only has he been an erratic kicker, but he's had significant weekly downside, making him a tough player to use in what could be a low scoring game against the Vikings in Week 17. 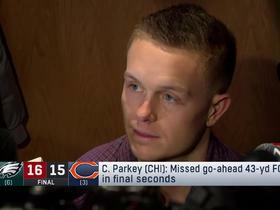 Parkey connected on his only field-goal attempt while adding three extra points in Chicago's Week 15 victory over the Packers. Analysis: Parkey's field goal was a 24-yard chip shot, giving him six points on the day. He's only had more than two field goals in a game once over his last 11 games, making him a low-ceiling lineup option. Parkey knocked down two of three field-goal attempts while adding an extra point in Chicago's Week 14 victory over the Rams. Analysis: The missed field goal was Parkey's first in four games, and it kept him from reaching double-digit scoring. He's averaging six points over his last five games, making him a below-average fantasy option. 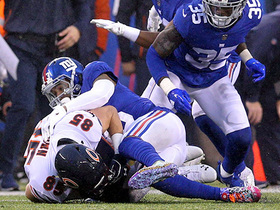 Parkey connected on a pair of field goals along with three extra points in Chicago's 30-27 overtime loss to the Giants. Analysis: Parkey knocked down short field goals of 21 and 36 yards, and he's now been perfect over the last three weeks after having some accuracy issues earlier in the campaign. He's averaging six points over the last four games, and his lack of consistent upside makes him an uninspiring fantasy option. Parkey kicked a field goal while adding a pair of extra points in the Bears' 23-16 win over the Lions. Analysis: For the second week in a row, Chicago opted to go for a two-point conversion early, and that's an obvious concern for a fantasy kicker who's been a borderline starting option all season. Although he's had four double-digit scoring performances this year, he's scored five or fewer points in four of his last seven games, making him a difficult player to trust in fantasy lineups. 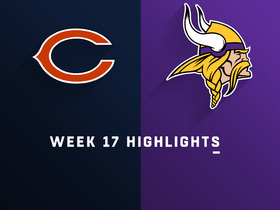 Parkey connected on three field goals (33, 41 and 48 yards) in the Bears' 25-20 victory over the Vikings on Sunday. 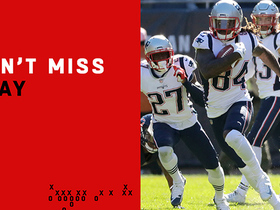 Analysis: After missing four kicks (two extra points and two field goals) last week, Chicago went for two-point conversions after each of its touchdowns in this game. 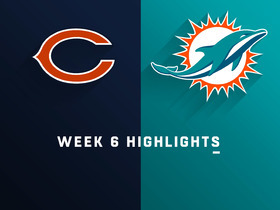 However, when called upon, Parkey was perfect on all three field-goal attempts, so he ended up with his second game with at least nine points over his last three contests. If Chicago continues to attempt two-point conversions after touchdowns, it would significantly limit Parkey's upside. According to head coach Matt Nagy, Parkey will not be replaced after a lackluster performance Sunday, Patrick Finley of the Chicago Sun Times reports. "Everybody in this room has had a bad day," Nagy said Monday. Analysis: Parkey struggled in Sunday's win over the Lions, missing both field-goal attempts as well as two of his four extra-point tries. However, Nagy remains confident in the fifth-year pro, who has spent time with four different teams. 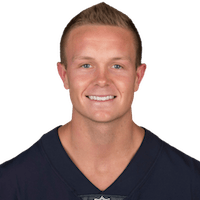 Parkey is now 13-for-18 on field-goal attempts this season, which is the third-worst percentage this season for kickers currently on a roster. Parkey missed both of his field-goal attempts as well as two of his four extra-point chances in Chicago's 34-22 victory over the Lions on Sunday. Analysis: Parkey was atrocious, hitting the upright on each of his field-goal attempts while ending the game with a season-low two points. 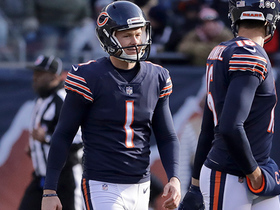 With Chicago hoping to be in the hunt for a playoff spot, it's possible that the Bears will begin looking for another kicker, as Parkey has missed four of his last eight field goals. Should he remain on the roster, his recent inaccuracy makes him a tough player to trust in fantasy lineups. Parkey connected on a pair of field goals along with five extra points in the Bears' 41-9 victory over the Bills. Analysis: While scoring 11 points, Parkey posted his second-best performance of the season while breaking a streak of three games with seven points or fewer. With just one game in which he scored fewer than six points, he has emerged as a high-floor option at kicker. 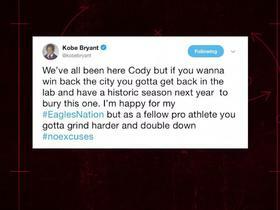 Former NBA guard Kobe Bryant Tweets advice to Chicago Bears kicker Cody Parkey after his late field goal miss against the Philadelphia Eagles. Chicago Bears kicker Cody Parkey reacts to his missed field goal attempt late against the Philadelphia Eagles. Chicago Bears kicker Cody Parkey's field goal sails wide left. Chicago Bears kicker Cody Parkey misses a 34-yard field goal off the upright. Chicago Bears place kicker Cody Parkey misses his third field goal of the season.